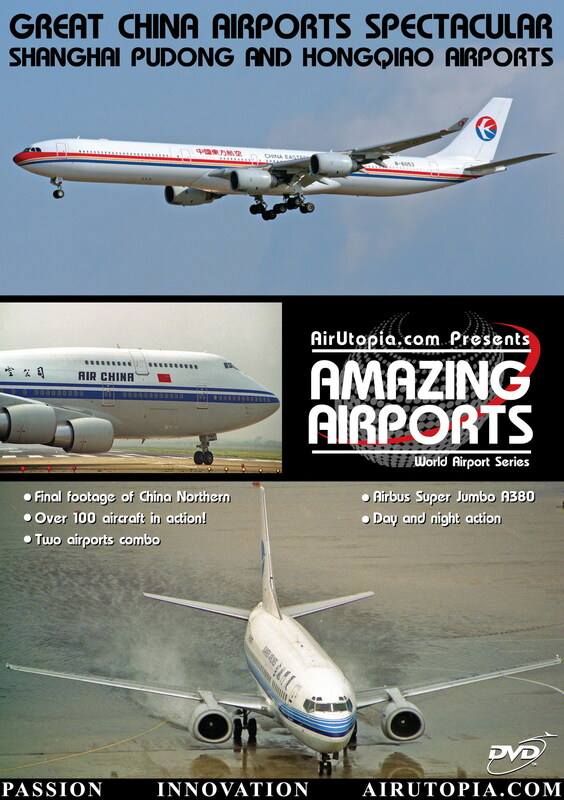 AirUtopia welcomes you to the city of Shanghai with incredible nonstop action from two of China’s busiest airports, Hongqiao and Pudong! - Special 2 airport combo! - A380 Super Jumbo at Pudong! - Day and night action! AirUtopia welcomes you to the city of Shanghai with incredible nonstop action from two of China’s busiest airports, Hongqiao and Pudong! These airports are continually expanding to help maintain Shanghai’s status as the financial capital of China with Pudong currently serving more international passengers than any other Chinese Airport! 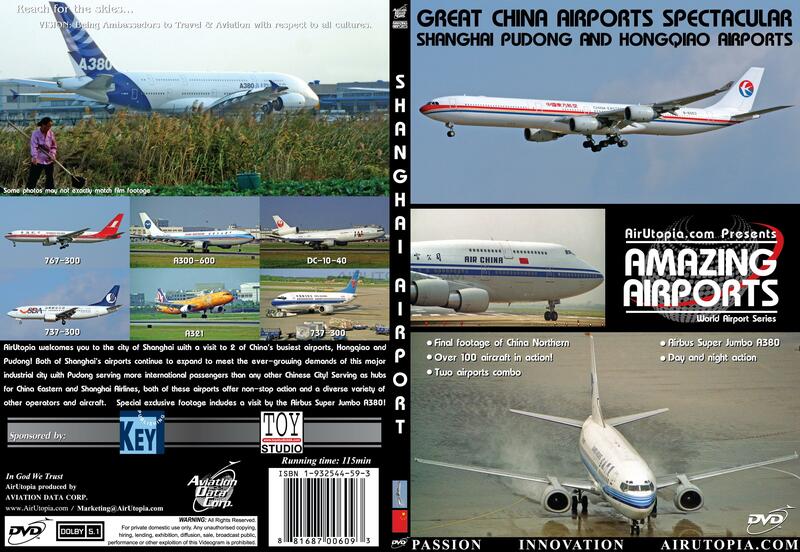 Major hubs for both China Eastern and Shanghai Airlines, downtown Hongqiao and the new Pudong International Airport offer a diverse variety of other operators and aircraft from rare and seldom seen China Postal Y-8s to countless all cargo operators from around the world! Pudong was also honored with a visit of the Airbus Super Jumbo A380 during the aircraft’s world route proving exercises! 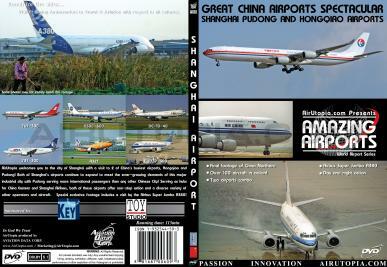 Another must see DVD from AirUtopia’s ‘Great China Airports Spectacular’ collection!